Templatica is lightweight WordPress plugin crafted for creating and managing templates of Visual Composer. Tool allows to manage contents (VC elements, blocks of code etc.) added to the multiple pages/posts/custom post types from single place. Above feature saves a lot of time – instead updating the same content on multiple pages, you can do it from one template. Native WordPress import/export functionality allows to migration templates between systems in easy way without any issues. Templatica allows to build templates which can be used without any limitation on other posts/pages/custom post types. It means, that you can manage the content from single place, no matter how many times you included template to the different pages/posts etc. All modifications done in template will be visible on all pages/posts which uses this template. Templatica has been created based on native WordPress functionalities (like Custom Post Type) and MySQL tables (no external tables are created). Such solution allows to avoid issues related with data migration between different environments. In case making of backup, no other actions are needed. Templatica extends Visual Composer components library about new element named Template. It can be used in visual mode of VC and allows to choose defined templates to put it on the page/post. 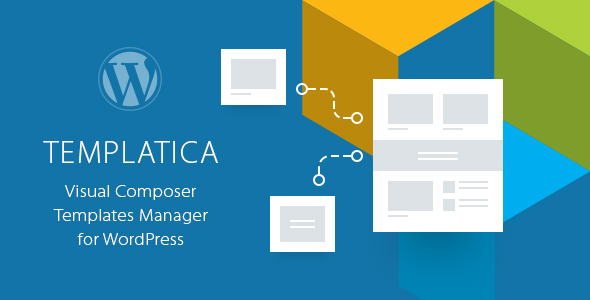 Templatica allows to limit access to templates based on WordPress user roles (like Administrator, Editor, Author, Contributor, Subscriber etc.). In other words newly built template can be availble for users based on their roles defined in WordPress. Only author of template has unlimited access. Templatica uses one of native WordPress functionality named Custom Post Types. It means that all created templates are stored by using buit-in functions and SQL tables without necessity of using external relations. Such solution reduces the possibility of occurring issues related with data migration between servers. Templatica gives possiblity to create a template which can be used directly in theme sidebars. The plugin extends an existing list of widgets about new one named Template. As well as in case of Visual Composer element, widget allows to select a template used in the sidebar. Templatica allows to build a template which can contain another, nested template(s). This feature gives infinite possibilities in modularization of the website. Templatica allows creating templates based on existing content from posts/pages/custom post types. With our plugin it is very easy to do – just one click during editing post is needed. All other steps will be done automatically. Templatica shows list of post/pages in which template has been used. This option is very useful – expecially when you have to remove template and make sure that this action will not effected to look and feel of your page. Entire list is available in single location.